A quick and easy Hair Tissue Mineral Analysis can reveal underlying patterns of health or illness. Did you know that many ailments such as headaches, allergies, anxiety and arthritis are actually symptoms of mineral and vitamin deficiencies or excesses? Mineral imbalances can be caused by an improper diet, physical or emotional stress, medications, pollution and even improper amounts of the very nutritional supplements you take to improve health. Trace minerals are essential in countless metabolic functions in all phases of our life processes. The good thing is that our hair can be effectively used for testing toxic metals in the body. It’s simple and easy to sample. The Environmental Protection Agency (EPA) actually uses hair as one of the tissues of choice in determining toxic metal exposure. At Bucks County Cryo Spa we offer Hair Tissue Mineral Analysis. We have partnered up with Trace Elements – an independent testing laboratory specializing in hair tissue mineral analysis (HTMA) for healthcare professionals worldwide. Hair is the ideal tissue for sampling and testing because it can be cut easily and painlessly and sent to the lab without any special handling requirements. What that means to you is that through the hair tissue mineral analysis you’ll be able to see the mineral levels in your body and if they are deficient or in excess. 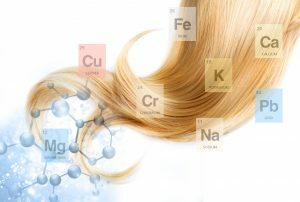 We then provide you with a complete and comprehensive computer evaluation of significant mineral levels that are tested in the hair sample you provide. You’ll also be outfitted with a list of foods to eat or to avoid. This will inform you about specific dietary modifications to help you restore a more balanced biochemistry that might be affecting those symptoms associated with mineral deficiencies. Upon evaluation of your hair analysis, we can help you design an effective nutritional program according to the results of your test. A hair tissue mineral analysis can be used in conjunction with other tests for a more comprehensive picture on which to base the most appropriate therapy to help you return to health.